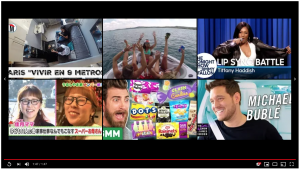 Trouble Getting Rid of YouTube Suggested Videos in 2018? I can help you if Google doesn’t change things again. I recently shot tons of 360º Virtual Reality video for a relatively new client on Table Rock Lake. One of their concerns was having the embedded videos from their YouTube channel on their website play suggested or recommended videos play after their video played. Our video shoot took place in early September, but when I was actually ready to embed their VR videos into their website, I learned YouTube actually screwed the pooch and made it difficult to make this happen for the novice. I, like lots of other folks out there tried to search the web to see how to make this happen now that YouTube took the very simple method of deselecting one check box away that would allow users to remove the possibility of recommended videos from showing up at the end of their embedded video. So, I am going to show you my work-around, but I am not sure how long this will work. Keep in mind that at the time I am posting this article, it is Halloween Eve, 2018. Google could easily change everything before Christmas, but this is my contribution for the moment. Good luck and I hope this helps you! I’m thinking that a YouTube video would be appropriate for this post since it’s all about YouTube. However, I need to get to bed soon, so for now I am going to give you the basics. A video will come soon! The above example is what I use as of October 30th, 2018. I build all of my websites responsive or adaptive. The latest and greatest Youtube embed code accounts for the fact that you are going to insert their embed code into a responsive website. Therefore, the width and height values really don’t matter. The key thing that will make this work for those who do not want to have “suggested” or “Recommended” videos play at the end of their embedded videos are as follows. The following is what I use to embed. If you embed this into your website, the video with the string ahfUoq8zwk0 will be the video that will play on that page and it will not have other unrelated videos display on your embedded video.